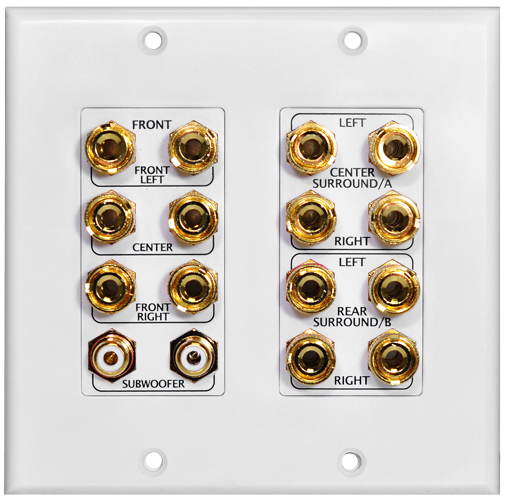 The OSD Audio WP16 Home Theater Wall Plate will let you connect your 7.1 home theater system cables into 1 perfectly organized, elegant speaker wire wall plate. 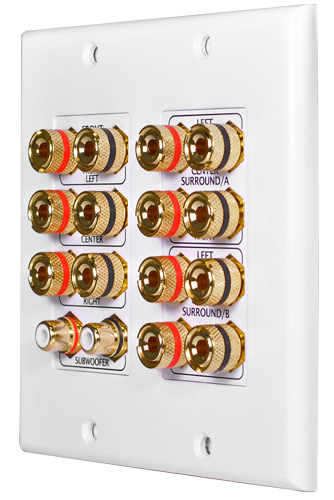 This 16-terminal, double gang unit includes 2 RCA to RCA connectors for subwoofer applications. 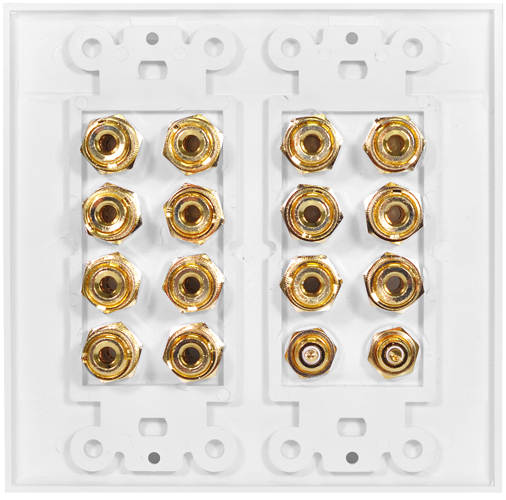 The binding posts on this banana plug wall plate are 14k gold plated and are red and black color-coded and clearly labeled. This unit is ideal for 5.1 or 7.1 home theatre connections. 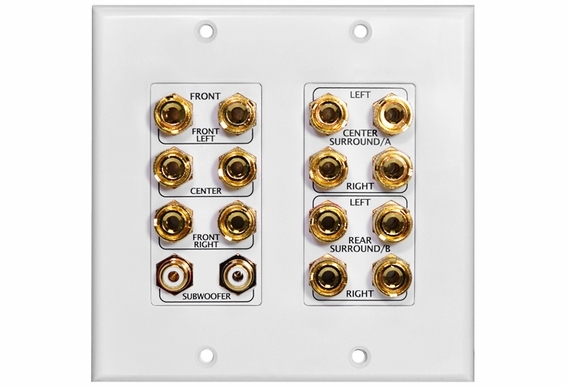 Decora wall plates are available with an assortment of hook-ups - banana jacks, connectors and binding posts that can accommodate everything from a single speaker pair to a dual speaker pair or in this case, a complete 7.1 home speaker system. 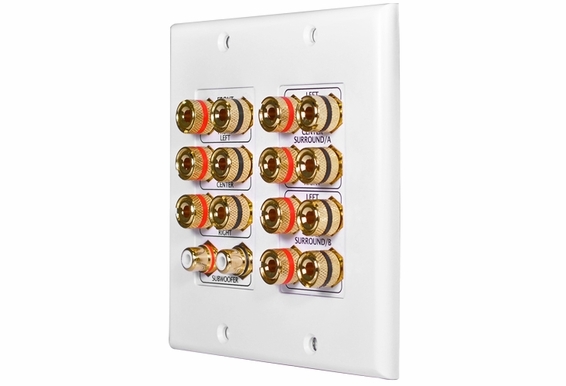 Rather than having speaker wire across the floor or tacked sloppily to walls and door frames, run the wiring properly and use this home theater cables in-wall system for a clean, professional appearance. 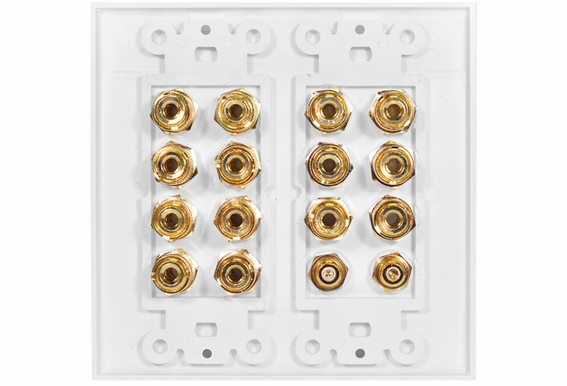 Are the subwoofer connectors RCA-RCA or F-connector-RCA?